I’m pretty sure summer’s officially here (even for those of us way up in the frozen north), and that can only mean a few things: 1) my hammock has a place of honor in the backyard again, 2) any of the delicious teas that I’ve been sipping all winter are even more delicious when iced and enjoyed out on the deck in the sun, and 3) it must be time for a new Mary Kay Andrews book!!! Seriously you guys...I just can’t say enough about MKA’s books. I love them so much! They’re just fluffy enough to be readable on the beach or on the patio, and they’re just involved enough to become thoroughly unputdownable once you’re a chapter or two in. 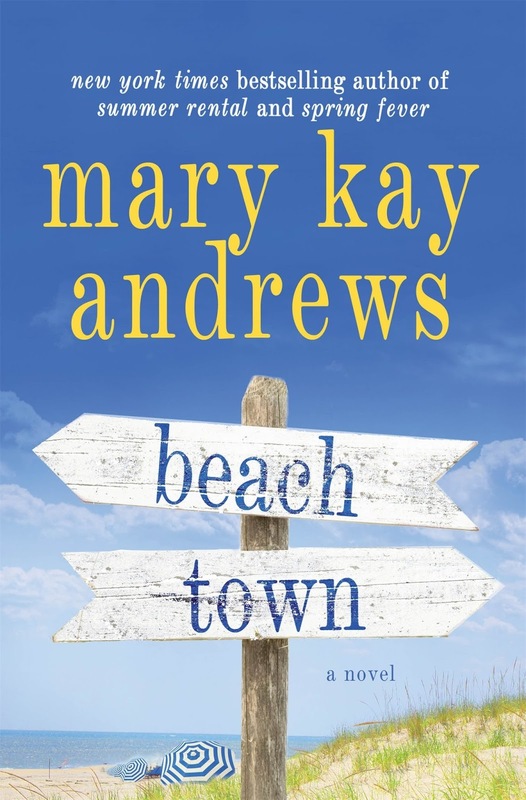 Her newest offering, Beach Town, takes us out to the tiny, sleepy Florida town of Cypress Key. Movie location scout Greer Hennessy needs palm trees, an old timey main street, a quaint fishing area, and a big building to blow up for the movie’s climax. When she finds Cypress Key, she realizes it’s absolutely perfect...almost. First, Eben Thibadeaux (the mayor, the town engineer, the grocery store owner, and...well, you get the idea) doesn’t want his town’s landmark casino blown up. Second, Greer has some pretty serious unresolved family issues, and this little jaunt to Florida has landed her right in her father’s backyard. Combine these problems with Florida-grown flying insects, a hilarious cast of characters, and a movie budget that’s skyrocketing out of control, and you’ve got all the ingredients for a novel that moves along comfortably, and keeps you smiling all the while. 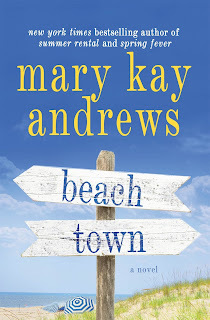 As with all of Mary Kay Andrews’ books, the magic isn’t in the main storyline, but in how it seamlessly moves alongside all the other minor storylines. We have the blossoming yet questionable romance between Kregg (rapper turned movie star) and Allie (Eben’s niece), the comic foil of Greer’s best friend and makeup artist for the movie CeeJay who is shacking up with the producer/director when the novel opens, and the ex-debutante heiress who actually owns the casino land and is determined to do what’s best for her own self in the middle of this whole mess. Meanwhile, people are still trying to make a movie, stick to a timeline, and in Greer’s case, decide if she’s really ready to reunite with her father in the little bit of downtime she gets each evening. All in all, Beach Town was a nice escape. The landscape of small town Florida was illustrated so well I could practically feel the sand under my feet and smell the sea water. The characters were easy to read, distinguishable from each other, and had their own voices and foibles which definitely made the book more entertaining. It was an engaging book to sink into, and involved enough to hold my attention the whole way through. Fluffy? Yes. Fun? Absolutely. Goes great with a cocktail in the sun? Most definitely. Happy reading, and don’t forget the SPF! Thanks to Tandem Literary for the book in exchange for an honest review. They have one copy for a lucky US reader! US only. Giveaway ends July 15th at midnight EST. This weekend is going to be so awesome! Tonight I have book club and can't wait to catch up with the ladies. Tomorrow I have obedience class with my crazy dog and then the rest of the weekend is mine to putter around, finish some sewing projects, drink wine and do whatever I want. I love weekends like that! I really don't have any plans for the weekend. I hope to get caught up on some reading. Reading. Maybe drive to the beach. I am so excited about the weekend! I plan to spend time with family, sort stuff to simplify life, read, and relax! Reading, of course. And yoga, cooking, and a little laundry. We will be heading to California to visit my parents and in-laws. We are all super excited! Poke about out in our garden if it isn't raining. We have had so much that if it had been snow there'd be 130 inches! Laying out, reading and swimming with the kids! Going to kick back and enjoy sitting by the pond. Remodel in progress so the quiet will be nice. I don't have anything planned which is nice after two busy weeks. We're meeting our youngest daughter in Asheville for lunch & shopping! This weekend? Participating in a Bags Tournament. Bean bag tossing game. I'm going to have a quiet, relaxing weekend...no plans!!! This sounds very good, I'm looking forward to reading it, We are having a friend over for a BBQ. Last weekend we had a BBQ with my husband's brother and sister and their families. Our three families are only together a couple of times a year because we all live in different states. It's always a good time when we are together! this past weekend was my youngest' birthday. we had lunch out and then a cook-out later in the day. spend time hanging out & making smores! a really good day! Today my granddaughter and I went to our local Care Center and played bean bag toss with the residents! Loved it! This weekend we are celebrating our son's 16th birthday, which is on Monday! I will be reliving some memories as I look at this man-child who was a baby just sixteen years ago. This weekend I'll have some time for reading and will be seeing a production of "Beauty and the Beast." No time for reading this weekend :( My daughter is in a softball tournament! GO RAVENS!!!! !